Your vacation to Branson will not be complete if you don’t see at least one show. Many of the vacationers coming to this place always enjoy their time because of the abundance of Branson theaters and plays. As the live show capital of the world, Branson offers some of the best live stage plays that you can only see in this favorite vacation destination in the Midwest including Amazing Acrobats of China, Shepherd of the Hills, Million Dollar Quartet, and Moses at Sight and Sound Theater. Beautifully located at Mickey Galley Theater, W 76 Country Blvd, Branson, MO, the Amazing Acrobats of China is energetic and engaging show that brings high-flying fun to audiences of all ages. The talented acrobatic performers of the show will showcase fantastic flexibility and feats of strength to the stage, making the audience members dumbfounded with some of acrobatic stunts that you will see in action. 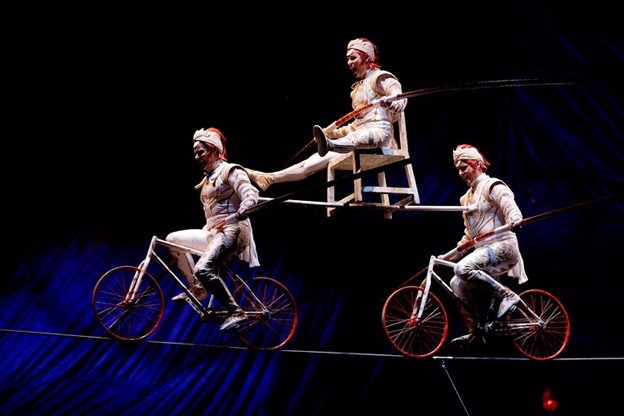 A few of the stunts that the acrobats perform include chair balancing, aerial acrobatic numbers, foot juggling, mask changing, balancing, and more. As the talented performers astride across the stage with flips and fly through the air, every audience member is sure to be entranced. This show is sure to give delight to everyone and perfect for all ages. These amazing acrobats will even defy the laws of gravity in a circular cage as they ride motorcycles upside down, narrowly dodging each other giving you a heart-pounding experience. This world-class show features state-of-the-art sound and lights and beautifully crafted costumes and stage settings. Before or after the show, get the chance to pick up some unique souvenirs at the gift shop. Here you can find talented in-shop artists, and they are able to customize your gifts. Whether you want to buy something for that special someone or treat yourself into a unique jewelry, the gift shop has plenty of great items to choose from. Shepherd of the Hills Historic Homestead & Old Mill Theater is one of the best Branson theaters and plays beautifully located at West 76 Country Blvd., Branson, MO. In this stage play, you will see Harold Bell Wright’s world-famous ‘Shepherd of the Hills’ adaptation for stage drama that will be brought to life under the stars in the premiere outdoor amphitheatre in Branson. Shepherd of the Hills is not just a show, it’s a unique experience you won’t forget. Not only you will learn the history of the original settlers in the Ozarks region through the famous book of Harold Bell Wright, you’ll be invited to join the cast in a square dance showdown during the play’s intermission. Be excited to watch the amazing performances of over 90 cast members, more than 20 horses, donkeys and mules, a flock of shop, guns and authentic 1908 Dewitt auto, and a real-life burning log cabin. This sell-out show brings audiences to their feet, and lets you remember the performance for many years to come. The show is about a love story between a young man and woman, but the story also tells about the mysterious shepherd who lives in the hills, including his tragic past and the past of the neighboring hill people. The play is about the story of the Ozarks which has something to share to many Branson visitors who flock to this great outdoor drama. The book Shepherd of the Hills is one of the most widely read book in publishing history. It has sold millions of copies and it has contributed much to the growth of tourism in the Ozark area. Conveniently located at the Welk Theater at Welk Resort on Hwy 165, Branson, MO, Million Dollar Quartet will light up the stage and will have you singing and dancing along with hits from that legendary recording session. The quartet will showcase the songs that pay homage to the legendary recording session that brought together musical greats such as Elvis Presley, Jerry Lee Lewis, Johnny Cash, and Carl Perkins. The show presents an absolutely masterful style as you are treated to renditions of songs such as I Walk the Line, Matchbox, and Hound Dog. Their presentation of gospel, blues, and rock ‘n roll is sure to make any music-lover stand and clap their hands. In 1956, Carl Perkins booked a recording session at Sun Studios in Memphis, Tennessee. Music legend Jerry Lewis helped Carl light the studio up including his band. When Elvis Presley and Johnny Cash showed up, it made things really interesting. This talented quartet made music history as they sang blues, gospel, and rock ‘n roll hits together. 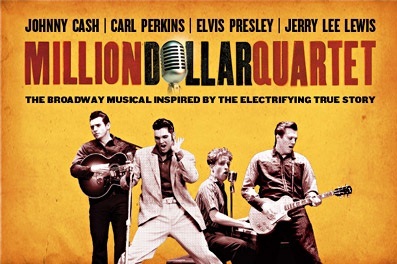 Don’t miss out to witness the Million Dollar Quartet live in Branson, Missouri. Moses is one of the top stage plays that you should see at Sight and Sound Theaters at Shepherd of the Hills Expressway in Branson. Known for bringing biblical stories to life, Sight and Sound Theaters offers visitors fantastic production show about Moses. This fascinating show comes to life with stunning special effects, live animals, and plenty more to delight audiences of all ages. Sight and Sound is a unique theater that provides plenty of lasting gospel stories and brings amazing performances in Branson, MO to the next level. In this show, it tells the story of Moses in the Old Testament who led the children of Israel out of Egypt to bring them to the Promised Land. During the time when all male babies were ordered by the Pharoah of Egypt to be killed, Moses’ mother saved her child by hiding him near the Nile River in a basket, which later found by the daughter of Pharoah and raised to grow up as prince. When Moses fled from his home, God spoke to him through a burning bush, telling him to free the Jews. When Moses’ request to free the slaves was refused by the Pharoah, Ten Plagues descended upon the land, sent by God to punish the Pharoah for his disobedience. When he refused to obey, the Ten Plagues ravaged Egypt, ending with the final Plague which caused every eldest son to die. After the final plague, the Pharoah finally released the Jews from slavery. But the Pharoah changed his mind, and ordered his great army to chase Moses and his people to the edge of the Red Sea. With nowhere to go, God ordered Moses to lift his rod, and the Red Sea was parted allowing the Jews to escape. After they left Egypt and travelled for three months in the desert, Moses and the Jews settled at Mount Sinai, where Moses received the Ten Commandments from God. As the theater brings the story of Moses to life in this amazing bible story, you are sure to feel an awe-inspiring experience. The theater itself has professional actors who can put Charlton Heston and Yul Brynner to shame. Don’t miss to see Moses where you’ll find it fantastic to see elaborate costuming and sets, live animals, special effects, original music, and so much more. These elements really bring the stage performance to life. No matter which show you see, Branson theaters and plays are the perfect way to see live stage plays that you won’t enjoy in some other theaters.